It was revealed earlier this week that Warner Bros. is in negotiations with Cathy Yan to helm the Birds of Prey project, and that the studio is aiming to shoot this year or at the very beginning of next year. Now, some more information has been revealed about the spin-off. 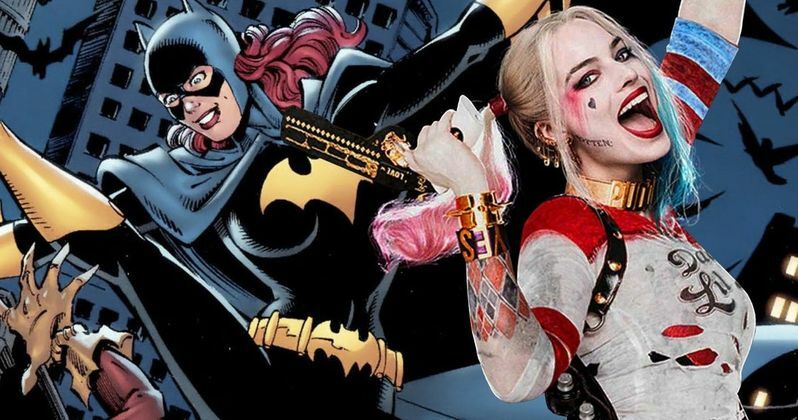 A new report suggests that there are two different scripts for the movie with both focusing on Margot Robbie as Harley Quinn and the yet to be cast Batgirl. The Batgirl movie is currently being written by Bumblebee writer Christina Hodson after Joss Whedon exited the project. Hodson reportedly got the Batgirl gig for her work on the Birds of Prey script, which Cathy Yan may end up directing. Since Warner Bros. is looking to get Birds of Prey off the ground sooner rather than later, that means that casting is more than likely starting up for an actress to portray Barbara Gordon, aka Batgirl. Since the movie will reportedly feature the debut of the character, it will probably be like Black Panther's part in Captain America: Civil War, setting the character up for her own movie. The reports about the two scripts and the focus being on Batgirl and Harley Quinn has not been officially confirmed by Warner Bros. or DC Films, so we'll take the report with a grain of salt. However, the idea does make a lot of sense. The real question now comes down to what will happen with Suicide Squad 2. It's been reported that the movie will be pushed back to a 2019 production start, but will Margot Robbie want to be on board for that much Harley Quinn next year? Margot Robbie is set to star and produce Birds of Prey, which has obviously taken precedent over Suicide Squad 2 over at Warner Bros. and DC Films. Apparently, Christina Hodson's script has gotten the studio pretty excited about the possibilities. Plus, Margot Robbie is coming off of an Academy Award nominated project, so they'll definitely want to start filming as early as possible. As for Cathy Yan, negotiations are reportedly going well, and all signs point to her helming the Birds of Prey project, after Robbie pushed for a female director for the spin-off. This is definitely exciting news for fans of Harley Quinn, but probably some bad news for fans who were looking forward to seeing Suicide Squad 2 go into production. It has also been rumored that the sequel could start filming directly after Birds of Prey, but that has also not been officially confirmed by anyone at Warner Bros. or DC Films. For now, we can look forward to who the studio will cast in the Batgirl role as well as the other characters that will show up in the spin-off. You can check out the original reports below, provided by Justin Kroll's Twitter account.